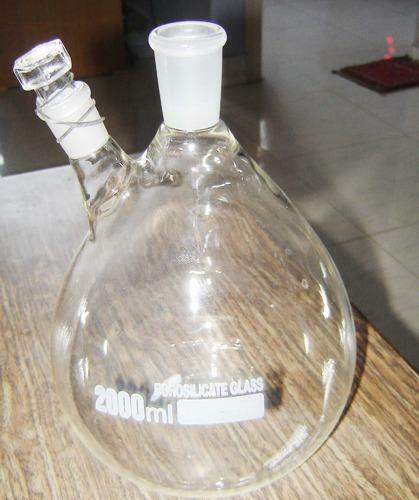 We present Round Bottom Flask Two Neck, which is made up of borosilicate glass and thus offer supreme heat resistance. These round bottom flasks can be availed in many sizes, with the size usually inscribed on the glass surface. These flasks are widely used in heating or boiling of liquids and offer great resistance to fracturing under vacuum.